Chicagoland business travel associates are in for a real treat when it comes to finding affordable luxury suites. Premier Luxury Suites offers you the best price on Chicago suburbs business travel apartments. This user friendly website can be your guide to awesome luxury suite selections at the right prices. There are numerous, gorgeous properties listed for your viewing pleasure. Some of these properties include Atwater, Avant, Coast, Grand Plaza, The Aqua, The Park Evanston, The Shoreham, The Streeter, Wolf Point West and other awesome selections. When you are traveling on business to the "Windy City," why not go in style with one of Premier Luxury Suite's accommodations. We are proud to bring you the best price on Chicago suburbs business travel apartments. You can expect a fully equipped kitchen area, high speed Internet, Cable and DVD player and iPod docking station, telephone along with upscale amenities in specific rooms. Our gorgeous apartments appeal to many people from all walks of life. 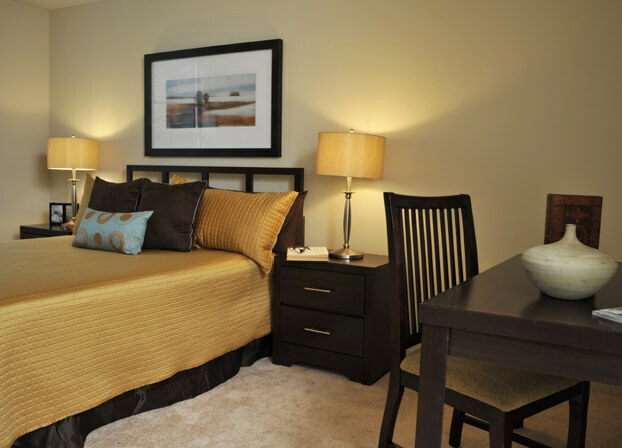 Premier Luxury Suites can help you find the right apartment location to suit your needs in the Chicagoland area. One great example of a beautiful room is the Coast. This room showcases floor to ceiling windows, quartz countertops, hardwood floors and beber carpets, clean steel energy star appliances, private balconies, access to a world class fitness center, fire pit and bbq grills, luxurious furnishings, weekly maid service and utilities. These are only some of the marvelous things that you can expect when you are searching for a place with Premier Luxury Suites. We have the best price on Chicago suburbs business travel apartments. Our professionals will be happy to tell you all about our different unique locations and what type of accommodations that you can expect with each one. You can contact us with any questions that you have. Our contact form also has a section where you can put in how much money you plan on spending on rent each month. You can also fill out desired unit size and other information to assist us in finding a place that suits your business travel needs. Photos are available on this website for your viewing pleasure. Please take the time to go through our various properties to find the right one for you. We love doing business with the general public and business travelers throughout the state of Illinois. If you are visiting Chicago for the first time on business be sure to contact Premier Luxury Suites for a stunning place to stay. The best price on Chicago suburbs business travel apartments can be found right here on this website. This corporate housing provider provides you with amazing customer service. It does not matter whether you are traveling on business, vacation or for relocation purposes Premier Luxury Suites has a marvelous place for you to stay within the Chicagoland area. You will always find the best price on Chicago suburbs business travel apartments. Contact us today to get more details about our luxury suite apartments.